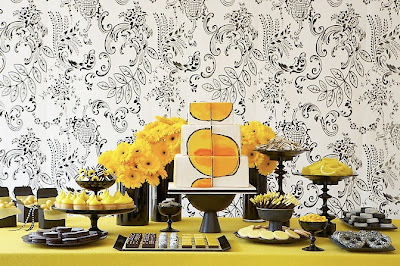 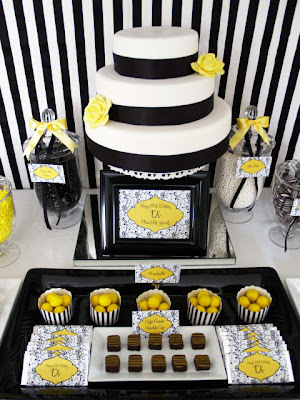 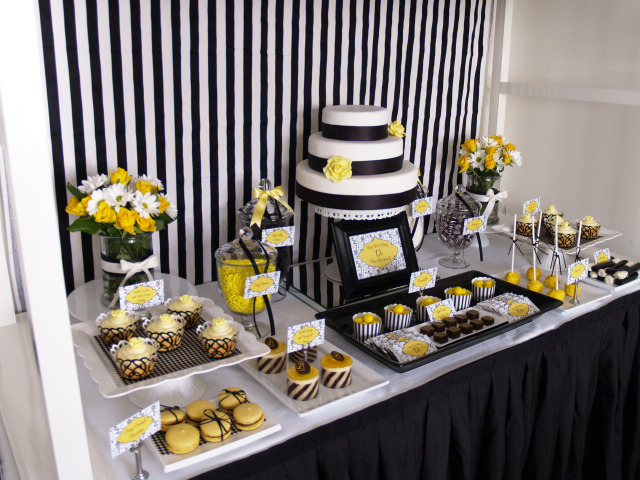 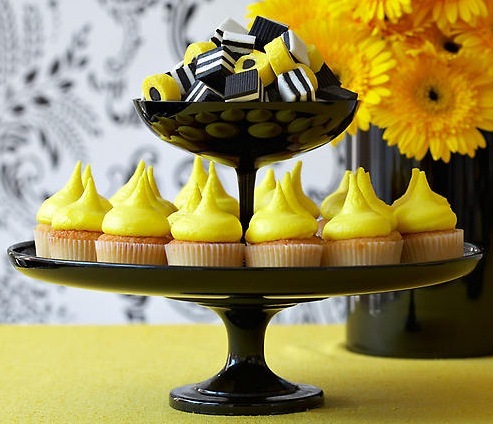 So, we all know that black & white damask has been hanging around forever, and although I can still never seem to get quite enough of it, I just love the way a bright splash of yellow can really liven things up a bit! 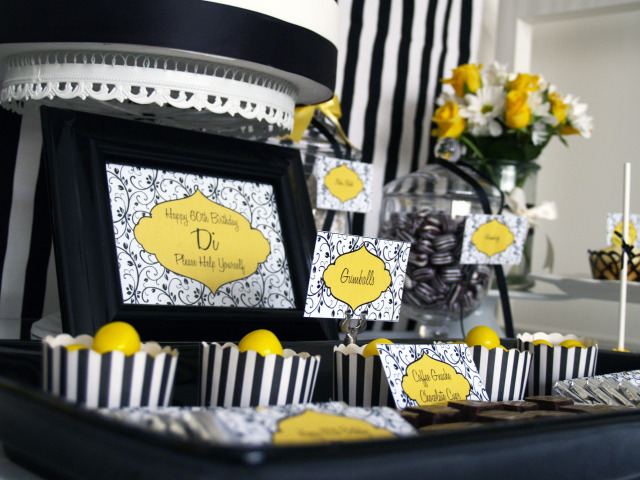 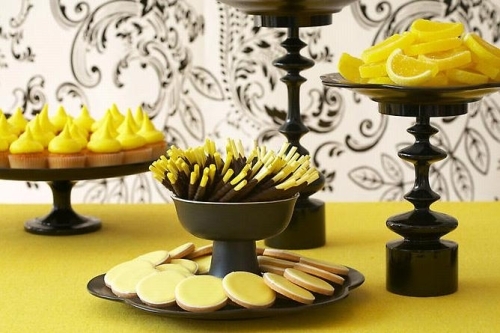 Throw in a few lemon heads and some yellow gumballs and you add just the right amount of youth & playfulness to damask's vintage & refined sophistication. Behold, a birthday party . 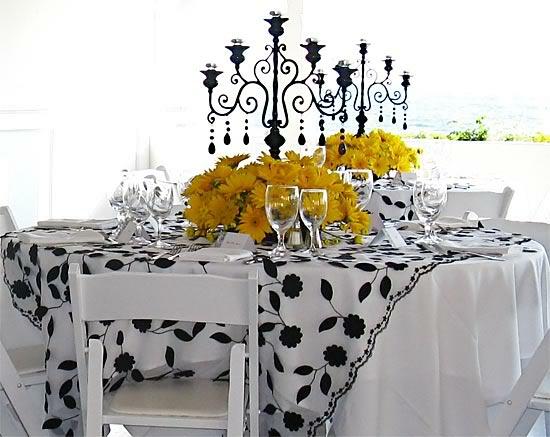 . .
And a table setting to die for . 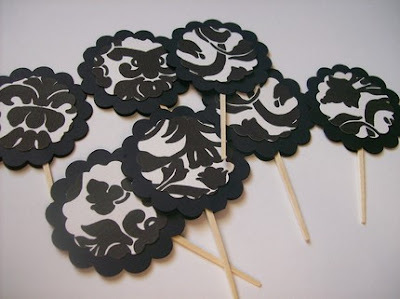 . .
Sweet little seating cards . . .
And elegant, scalloped cupcake toppers . . .
Fresh, fun, & fancy too, don't you think? Now, you know, there is only one thing missing from a party so dashing & debonair...invitations & favor labels, that's what! 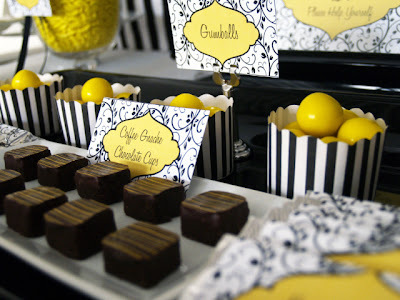 Stay tuned tomorrow for the new line, arriving in our Etsy shop hot off the press!